The Arts by Karena: Please Join Me on A Parisian Rendevous! Yes, you have definitely discovered Parisian heaven on earth! 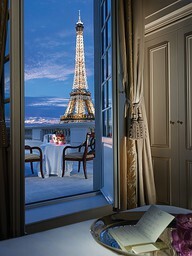 That was LITERALLY our room with a view in Paris! At the Lancaster Hotel! I will never forget it! And now my precious parents are there! They are actually in Provence and traveling to Paris in a day or two! I'm envious but happy for them! Much love to you! I really enjoyed your Paris! Mine is a mysterious Paris. Hasn't it been great to visit together. What a fantastique Parisian holiday you present us with! Such a great start to Anita's Paris Party! I hope you will come by and see me today! Gorgeous images of my favourite city in the world!!!! How amazing was your view..... I am so thrilled to see these special memories and to see how wonderful life can be! Beautiful! Paris is a magical place and once it touches our heart it never leaves. Aren't we just having the greatest trip to Paris?!?! Your images are lovely, but oops, we packed the same clothes to wear, and how did you end up with my gown?!? so delightful! i really enjoyed this visit with you, you picked the very best room and i love your gown! 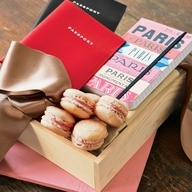 Your blog is wonderful love the pictures...I have never been to Paris and this is a wonderful way to visit..
Ah yes, this has inspired me to embark upon half an hour of wishful thinking, accompanied by a glass of wine. I live to serve. Ah, Paris! Great pics all. And glad you love the robe and pajamas! Have a nice weekend! I can't wait to go to Paris next year, and these images make it almost impossible to wait, Karena. Haope that all is well with you. 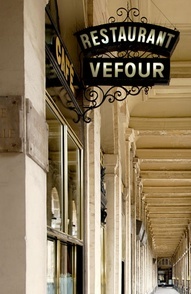 Wonderful Parisian images, Karena...thank you for popping by and joining me in Paris....lovely to hear from you. I'd love to join you, Karena! Your ensembles are perfect for the trip. Nothing like Paris flea markets...I'm so with you on that. And we MUST have flowers! And macarons! Musee d'Orsay is my very favorite. So nice to be traveling to Paris with you and all the other lovely blogs. My favorite picture on here was the flower shop. 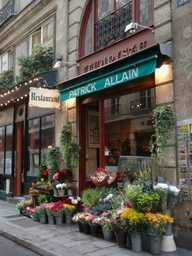 I adore flowers and can imagine going into a little flower shop in Paris and looking all around. Wouldn't that be nice? I am off to visit a few more lovelies, and wanted to make sure that I stopped by your sweet blog. 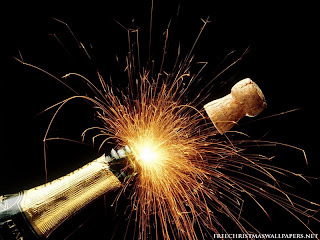 WOOOOOOOOOOOOOOOOOOOOOOOOOOOOO IT IS PARTY TIME and I am finally here! I have been at work all day and I missed all the fun early on, but we have ONE FULL WEEK to visit everyone! Having so much fun on this Parisian adventure with Anita and her traveling companions. Thank you for stopping by, Karena. Always good to see your pretty smile. I do believe Paris is a little slice of heaven on earth. 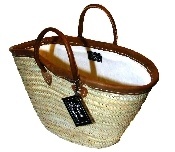 That flower shop on the L'Ile Saint-Louis is one of my favourites and I just purchased that Aix basket from French Basketeer! Your ensembles and gown are tres chic! Wooooow your pictures of Paris are just fabulous! I would like have a little trip in that magical city! 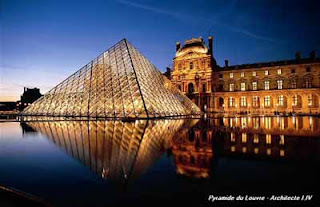 PARIS is indeed a MUST see CITY by all...I came home from my trip in April to Paris with 5 girl friends....told all my children(grown) YOU must add PARIS to your list of cities to visit!!!! I will take my Hubby back --hopefully soon....he must experience it with me!!! So happy we are going to be friends!! I am following the tour...and My Oh My! I will take that room with a view! The food and glamour...and beautiful scenery - YES! I'll take it ALL! Your room with a view reminded me of our room last year. I couldn't get over the gorgeous windows and window dressings! 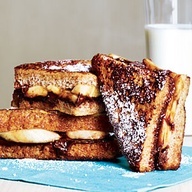 What a fabulous idea for breakfast too - I am going to make mine soon - Definitely a wonderful time in Paris. I love that you are bringing back gifts for friends, Karena, you are sooooo thoughtful! What a delightful trip to Paris this was, Karina! Merci beaucoup! Now that was a real treat! Thanks for the mini vacation. I've enjoyed the trip with you, Karena. Lovely images and reminders of all the wonders there. I didn't stop smiling the entire time I was there. I'm reading "Hidden in Paris" this week. Just noticed it on your sidebar. Your trip is Heaven on Earth, indeed! Thank you for bringing me alone! Delighted to have enjoyed it through Anita's Parisian celebration. Was great to meet up with you and see you in Paris. Thanks for sharing and for visiting me. The Room with a View is at The Lancaster Hotel; and I look forward to staying there one day soon! Hi Karena, I say yes to all of this. And that room with a view, what an experience that would have been!!!! Have a lovely day and thanks for your nice comment!! You capture the soul of Paris with your words and pictures. It is a feast for eyes, ears, taste and scent. They all play in Paris. Thanks to ANita for bringing us all together. At the 11th hour a miracle has happened. I knew it would :) He is ever faithful. Details will follow soon. Thank you for your constant friendship. stunning karena! we are on the same wavelength. won't you join me in paris? would be fun! Thank you for taking me with you. I love it all. My favorites were the room with a view and re- visiting Degas' Ballerina and Monet's waterlilies at the Musee d'Orsay! So blessed to be your blog friend. Beautiful photos. This is such a fun blog tour. Beautiful images. 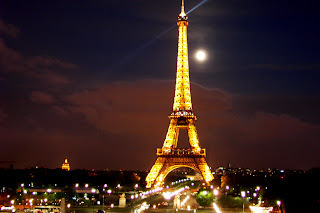 I have never been to Paris, but cant wait to be able to visit. 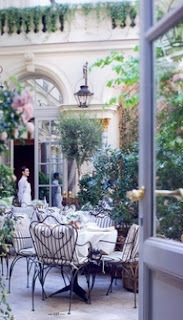 Dear Karena, i'm so in the mood for Paris now! 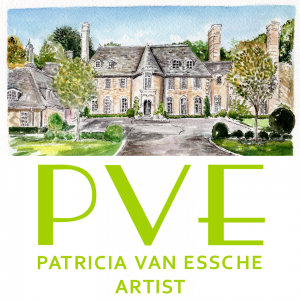 Thanks for sharing these pretty images and dreaming along with me and the others! have a super week! Thank you Karena for adding beauty to our tour de France! I thank you dearly for adding me to your stop over enjoying all that I had to inspire. Anita is a doll for putting together such an eventful week. I will be seeing you and all your beauty so very soon. I really love the outfits you chose for the trip. Maybe we are the same size and we can swap out chic threads! It really does look like heaven on earth! Fabulous images! I'm just getting started on the Parisian Party Tour but so glad to be here. Thank you for stopping by and love your photos and picks. Will have to come by more often! Beautiful images! Love that dress! Would love to visit some day! 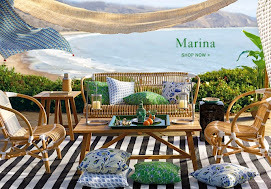 P/S: Come by and enter my current giveaway for a chance to win a designer pillow of your choice, if you like! Awwww Parie. I was there once over 25 yrs. ago. Too young to enjoy it's beauty then. Wrong month too. Now at 56, I will go back with a different heart. I know you and Anita would be walking hand in hand down one of those streets together having a macaron and a café. Can I come too? 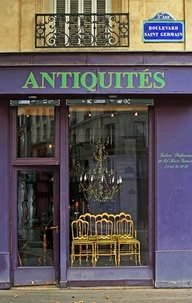 I'll show you my favorite antiques shops. And, I can negotiate prices in French! Merci mon amie!! Oh la la...You know how much I love Paris and this post is truly special. Have a great day, dear. So fun, wish I was there after seeing all these great images! Can't wait to go to Paris someday! 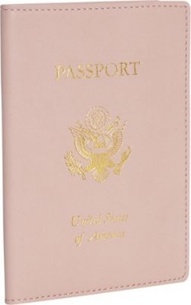 I love your pink passport..enjoyed the tour! I got so excited, I felt like I was there again. Yes that looks like heaven!! Amazing!! 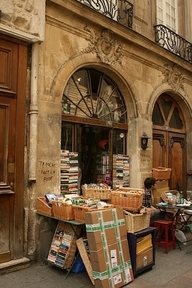 Love your take on Paris, don't you love all the bookstores? I never tire of Paris and always discover something special. Beautiful and dreamy images of a favorite city, dear Karena! I am awfully late here...but I'm so glad you shared your dream Parisian trip...merci to you and dear Anita! oh boy, count me in! all of this sounds wonderful. 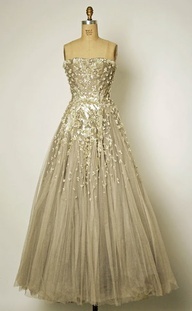 and that evening dress- - so chic!! happy 4th of july Karena! I've only been to Paris once, and it was one of the most beautiful places I have ever been! I only saw about half of what I wanted to see, but I always think it is good to leave a few things for the next trip! You captured Paris beautifully. I have visited many times but never tire of this wonderful city and the Musée d'Orsay is amazing. You certainly had a room with a view.